The lovely city of Damascus, Oregon is located east of Portland, and is home to amazing natural treasures and a real sense of community - though the city is only officially 7 years old! Incorportated in 2004, the City of Damascus was created as an expansion of Portland's urban growth, and has developed an identity all its own thanks to the initiative and independence of its 12,000 residents. Damascus offers access to real estate opportunities with a rural character and rural lifestyle options. Highway 212 provides access to the Portland region and areas around Mt. Hood and the Columbia River Gorge. Highway 212 also connects Damascus to Interstate 205, providing easy access to the Portland Metropolitan area, including the Portland International Airport and the Columbia River Gorge. Damascus is located within a half hour drive to downhill skiing at Timberline Ski Resort, hiking, extraordinary valley and scenic views , mountain biking, fishing, snowmobiling and many other recreational activities in the Mt. Hood National Forest area. Damascus offers easy river access and country living while still a comfortable commute to Portland. From enjoying the roar of the rapids or boating down its navigable waters to catch the elusive salmon swimming below, the community provides family fun events year round. Damascus is located southeast of Portland - 8 miles east of SE 82nd out Foster - south of Gresham and the Clackamas River, east of Happy Valley and Interstate 205, and west of Boring, Oregon. Located in north-central part of Clackamas County, the city's northern boundary is the Multnomah County line. Damascus is located close to major commercial and retail destinations, including Clackamas Town Center. It is roughly a half-hour drive from downtown Portland and has access to Portland’s shopping, entertainment, and cultural amenities. The city is served by the North Clackamas, Oregon Trail, Estacada, Centennial, and the Gresham-Barlow school districts, with the later also being the second largest employer in the city. 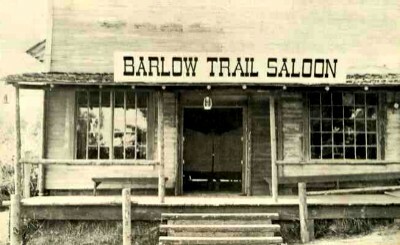 Communities sprung up along early roadways, part of the original Oregon Trail, and Damascus, located along the Foster- Barlow Road, developed as one of these towns in 1851. Damascus did not receive its name until 1866, about one year before the post office was established with John S. Fisher as the first postmaster. Edward Pedigo was a potter from Missouri who had settled in Damascus in 1854 and used the locally available red clay to make bean pots and jars. This operation apparently provided a modicum of economic stimulus to the Damascus area. As the town grew, a name was needed for the new school and post office. Edward Pedigo suggested the name “Damascus” as “A place of a new beginning” in reference to the Apostle Paul’s conversion experience on the road to Damascus in the Bible. Damascus was the site of one of the largest gatherings to celebrate Oregon’s Centennial in 1959. It was so popular that it became a three-year celebration and in 1962 was the site of the Little World’s Fair to celebrate the Man of the Past. It was a contrast to Seattle, the site of the actual World’s Fair, which welcomed the world to celebrate Man in Space. The original heart of the community is along Oregon Route 212, which as of 2004 serves as part of the city's southern boundary. A 2000 decision by Metro to expand Portland's urban growth boundary into the area prompted some citizens of the community to submit Measure 3-138, a measure on the ballot for the 2004 general election in November. The initiative's passage resulted in the incorporation of the former unincorporated communities of Damascus and Carver into the City of Damascus in 2004, a step which prevents nearby cities from annexing the community. The city was the first new city in Oregon in 22 years! Damascus features a variety of homes in both newer neighborhoods and established areas. Many homes come in all sizes or on acreage. Many new construction custom homes and estates are available for amazing prices, offering luxury lifestyle and easy access to Mt Hood or Portland. 68% of Damascus’ housing was built after 1970, compared with 66% of housing in Clackamas County and 58% of housing in the Portland Region. Housing in Damascus is more valuable than in neighboring cities of Sandy, Milwaukie and Gresham. Only Happy Valley and Lake Oswego have had higher home values and growth rates over the same period. The Envision Damascus Comprehensive Plan (goals and policies document, map, and technical documents), required by Oregon law, is a broad statement of the community’s vision for the future and contains goals and policies to guide development of the City as well as certain aspects of its social and economic character. The Plan aims to organize and coordinate complex interrelationships between people, land, resources and facilities to meet the future needs of the citizens and to enhance the livability of the community. Carver Cafe - 16471 SE Highway 224 Damascus , Oregon - Featured in the hit movie Twilight! Stunning Mount Hood views, nearby shopping mall at Clackamas Town Center—one of the largest regional malls in Portland, Mountain View Golf Course, North Clackamas Aquatic Park. Regional recreation options include Mt. Hood and Timberline Lodge, ski areas, Bonnie Lake State Park, Milo McIver State Park, Molalla River State Park, Mt. Hood National Forest, Mt. Hood Wilderness, Bull of the Woods Wilderness, and the Columbia River Gorge. Olson Farms: South of Gresham on SE 242nd, turn right on Borges Road; or east of Damascus on Hwy 212, turn north on SE 222nd to Borges Road. - Family farming since 1906! Hanging baskets, nursery stock, raspberries, Hood strawberries, blackberries, boysens, marions, blues, peaches, nectarines, pears, cherries, cots, sweet corn, beans, cukes, tomatoes, zucchini, peppers, cabbage, cauliflower, broccoli, cut flowers, strawberry jam, pumpkins, and fall décor. Draft horse drawn hayrides in October! Day in Damascus is a long-standing, community celebration, focusing on family fun, great entertainment and great food for all to support the Damascus Centennial Park and other community service activities of KIWANIS in Damascus. Visit the Day in Damascus website for more information. Day in Damascus will be held on July 30, 2011 from 10 am - 4 pm in the Damascus Centennial Park, which is located next to Bi-Mart.